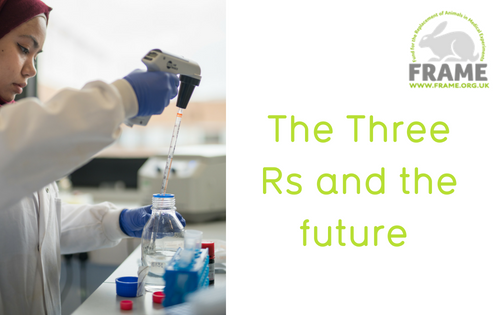 In the second part of our blog series on the Three Rs, our senior scientific liaison officer, Amy Beale, explains the Replacement techniques, looks at some of the history behind the concept and looks ahead to the future. The Three Rs were introduced by William Russell and Rex Birch in their landmark paper ‘The principles of Humane Experimental Technique’ in 1959. When the Three Rs were written the primary focus was ‘Replacement’ referring to the use of non-animal methods and techniques as an alternative to the use of live animals. Where replacements were not yet available ‘Reduction’ and ‘Refinement’ should be implemented. FRAME, which was founded in 1969 by Dorothy Hegarty and Dr Charles Foister, was one of the first organisations dedicated to promoting the use of the Three Rs principles in animal experimentation. While Dorothy Hegarty was opposed to the use of laboratory animals, she believed that medical research was both important and could not yet be done without animals. Today FRAME still believes correctly that implementing the Three Rs is the most effective way to bring about an eventual end to the use of animals in laboratories. In 2004, the National Centre for the Replacement, Refinement and Reduction of Animals in Research (NC3Rs) was established by the UK Government, to fund Three Rs initiatives in both biomedical research and toxicology. Another organisation in the UK dedicated to the Three Rs is the Dr Hadwen Trust for Humane Research which was set up shortly after FRAME, as part of the British Union for the Abolition of Vivisection (BUAV) at the time. Other organisations, charities, centres and initiatives have since been formed across the UK and Europe. What does the future hold for the Three Rs? Have the Three Rs had an impact on reducing the number of animals being used in research and their welfare? Undoubtedly yes, but can we do more? The primary focus of the Three Rs is ‘Replacement’. There may be some issues holding this back. Is there enough funding being provided for the development of alternatives? Should the Government be doing more to push forward the development of these alternatives? Are scientists aware of alternative techniques? In response to raising awareness of alternatives there have been various databases created over the last few decades and we must continue to collate and share knowledge of replacements in the most effective way possible. 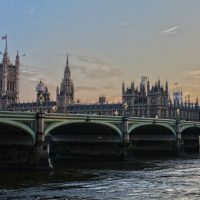 The process for validation of alternative techniques can be lengthy, the time taken for an alternative technique to be validated by the EU may run into years. This can slow down the whole process of using an alternative by the scientific community. Despite a legal requirement to do so there are still cases in research where the Three Rs are not being upheld. Organisations which carry out animal research in the face of years of active campaigning, and protests against their research are understandably reluctant to publicise their work. 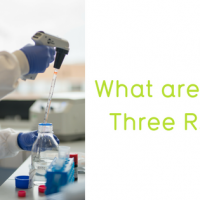 While animal research is happening, a lack of transparency and information sharing between scientists and organisations will only hinder the implementation of the Three Rs across the research industry. Working groups, joint research projects and education are key to helping to embed the Three Rs into research culture. Poorly planned research projects that use animals produce unreliable or invalid results. Using too few animals or applying poor scientific methods can produce research data that are useless. If animals are being used, scientists must ensure their experimental design is robust and reliable so that data from animal use is not wasted. Education and training in experimental design, and animal use, such as the FRAME Training schools, aim to prevent this. While animals continue to be used in research we must try not to drive these activities underground, but encourage discussion and information sharing relevant to the implementation of the Three Rs – particularly among the next generation of researchers. We must continue to question the science and ethics of using animals in testing, the species chosen, and the relevance of the data produced. Scientists should be encouraged to think about alternatives, and not assume that because animals have been used for so long there is not a better way. We should also question how new technology is used. For example, surrounding the creation and use of GM animals. Should we be using scarce funding resources to try to make animal species more human when it could be used to develop human based techniques? We at FRAME think not. If the Three Rs were implemented correctly all experimental designs that require animals would actively be looking for Replacement methods first. 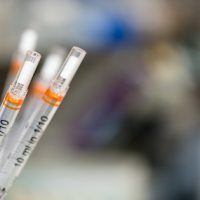 We must keep pushing to develop, highlight and share these alternatives and push forward towards a world where human health benefits from human-based research techniques rather than a requirement to test on animals.